Enjoying healthy home cooked dinners is one of the best things you can do for yourself and your family. When planning your dinner, follow this simple 1-2-3 plan to help create a nutritionally balanced meal. 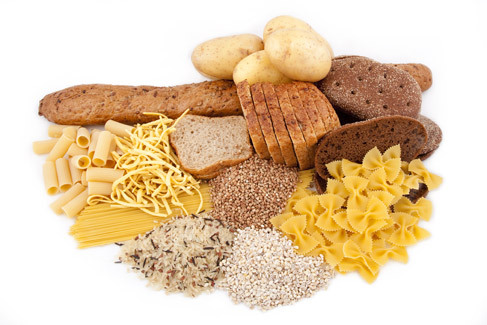 Carbohydrates are the body’s main fuel providing most of our energy for muscle and brain function. 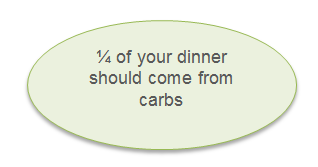 The best type of carbohydrate to include in your dinner comes from grains and starchy vegetables. 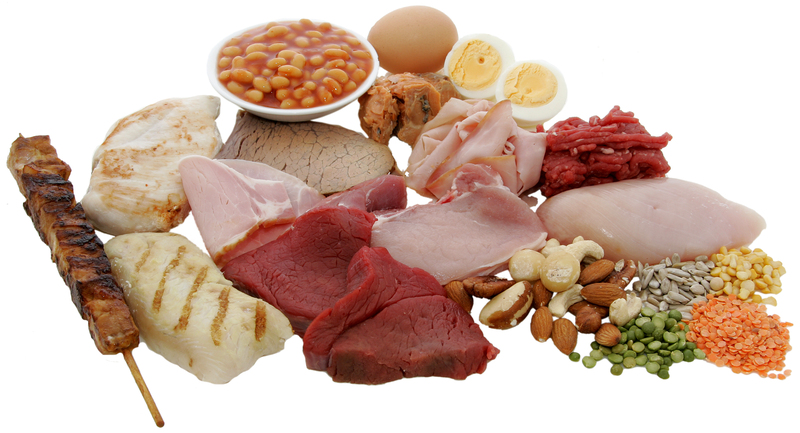 Protein is essential for growth and repair of body tissues such as muscle, skin, hair and nails. 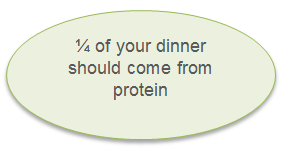 Most of our protein comes from meat and alternatives. These are also good sources of iron, niacin and vitamin B12. Remember to choose lean cuts of beef, pork, veal and lamb trimmed of all visible fat. Limit processed meat and deli meat (e.g. salami and pepperoni) as they are very high in fat and salt. Canned fish is just as nutritious as fresh fish and can be a convenient option. The best alternatives are canned in water rather than brine (salt) or oil. Enjoy a variety of nuts, choose no-added salt options. Legumes are the cheapest source of protein – add them to your meat recipes to lower the cost and boost the fibre in your meal. If you consume meat products, try including one or two meat-free meals per week to enjoy the benefits of plant based proteins. As well as providing protein these foods are excellent sources of calcium for bone health. Where possible choose reduced fat dairy products to keep the energy and saturated fat low. Be sure to choose calcium-fortified milk-substitute products, such as soy products. Vegetables are a good source of vitamins, minerals, antioxidants and dietary fibre. Vegetables are low in kilojoules and are great fillers for your meals. Frozen and canned vegetables can be just as good as fresh. Buy fresh vegetables when they are in season as this will give you better value for your money. Choosing a variety of different coloured vegetables will provide a greater range of different nutrients.